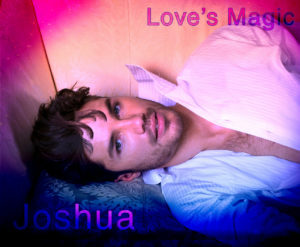 I thought a lot about my characters before I started writing Love’s Magic. I chose their names carefully because I wanted the names to say something about their character rather than being merely a meaningless label. Joshua, for instance, means “Jehovah is generous. Jehovah saves.” In the long run I knew that Joshua was a man who would channel his need for healing into helping others. Josh gives of himself even when he receives nothing in return. The Urban Dictionary says about Joshua “His heart is beautiful, and only very few people have touched it. But he touches the hearts of many and doesn’t even know it.” I think this statement beautifully illustrates his relationship with Colin. Joshua hid his heart away. His fear of rejection and abandonment made him very self-protective and unable to see his own inner beauty. Not many people saw into his heart. And, certainly, when he and Colin first met he had no idea how deeply his presence affected the feisty Irish police officer. Even after their explosive parting, he remained convinced that Colin’s heart had not been touched by their relationship when nothing could have been further from the truth. There are a couple meanings I found for Colin’s name, one being ‘victory for the people’ the other being ‘cub’ or ‘child’. Both meanings fit him perfectly. His whole life revolves around his struggle to gain victory for people who’ve been harmed by the world. He fights like ten mad demons to win justice for them. And on many levels, Colin IS a child. He’s carefree and reckless. He’s exciting and enjoyable. He’s just a huge ball of Irish energy unleashed upon the world… and upon Joshua. 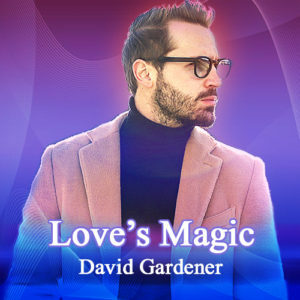 The fact that David Gardener’s name means ‘beloved’ is a touch of irony, because David suffered for years from wounds which left a dark shadow over his life, leaving him feeling anything but ‘beloved’. Even his many professional accomplishments couldn’t triumph over the poor self-image he acquired from an overly critical father. 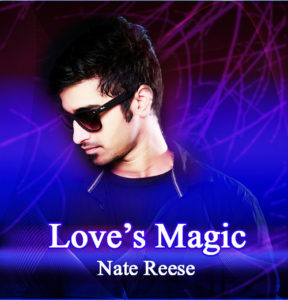 When Nate entered his life, he finally began to believe in himself. The meaning of Nate’s name, “Gift from god”, would perfectly reflect how David felt about his beautiful, creative partner. For Nate, David’s entire being was mirrored in the broad shoulders and sturdy build which reflected the quiet inner strength Nate relied on in both good times and bad. And in being god’s gift to David, he allowed David to believe he was, indeed, beloved. I enjoyed exploring my characters through this kind of creative lens. It helped me understand them more deeply and, as a result, they become more real to those who visit their world.